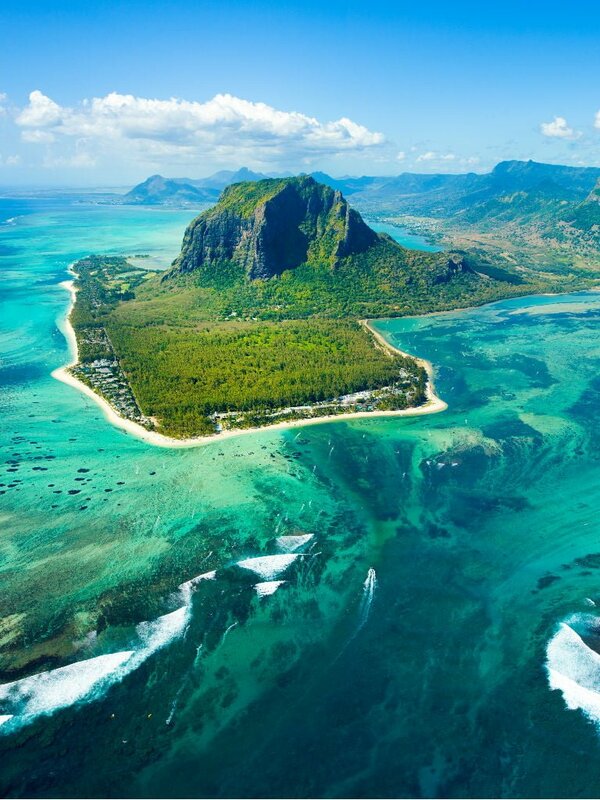 About 1,200 miles from Africa’s southeast coast you’ll find the Republic of Mauritius. Comprised of islands Mauritius and Rodrigues, Agalega, and the archipelago of St. Brandon, the Republic of Mauritius is a multicultural, multiethnic nation with a varied and interesting history. In 1598, the first Europeans landed on Mauritius: a group of Dutch explorers. They began a settlement on the island and named it for Prince Maurice of Nassau. The island was abandoned a few years later and fell under French control. In 1810, the French lost their rights to Mauritius during the Napoleonic Wars, and England became the rightful new owner. Finally, Mauritius achieved its independence in 1968, and in 1992 was established as a republic. With its tropical climate and unique location, Mauritius is a wonderful choice for a sailing holiday. Surrounded almost completely by a coral reef, the brilliant blue coastal waters of Mauritius remain serene, offering tremendous visibility for snorkeling and swimming. The colorful reefs are filled with marine life; you’ll spot clownfish, damselfish, and more. Further offshore, you’ll find tremendous deep sea fishing, with plenty of opportunity to reel in some big catches. Interested fisherman should sail off the western coast to experience the best conditions. When fishing in Mauritius, you might catch giant trevally, yellowfin tuna, or blue marlin. Many tourists to Mauritius come not only for the sailing, but for the fantastic diving. There are numerous top scuba diving sites surrounding the islands, including an underwater crater close to Ile de Ronde, and Roche Zoco, a submerged rock pinnacle. The majority of popular diving sites in this region are on Mauritius’ western coast near Flic en Flac. Here, you’ll find the well-known Cathedral dive site. 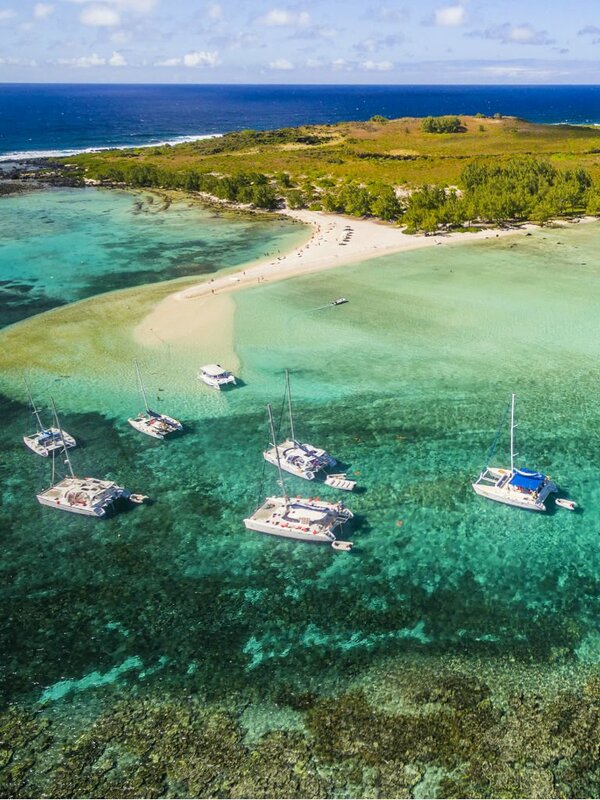 Visitors also enjoy the northern islands of Mauritius for their pleasant diving and clear, beautiful waters–perfect for snorkeling and swimming. 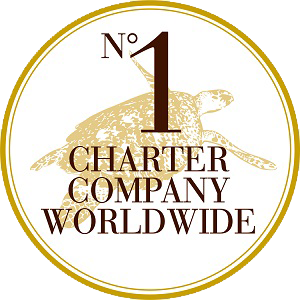 Our Dream Yacht Charter Mauritius base is found in the capital, Port Louis. Before setting sail on your voyage, be sure to check out the Port Louis waterfront, which offers great shopping, fine dining, and exciting entertainment. The capital is in the northern part of Mauritius, which is the more heavily-settled and built up area. Eastern Mauritius boasts many of the country’s loveliest beaches, with long, white sand stretches, perfect for a day spent sunbathing or strolling by the seaside. Heading south on the island, you’ll stumble upon a vastly different landscape with dramatic sea cliffs. Throughout Mauritius you can enjoy a vast range of activities including skydiving, safari trips, hiking, horse racing, parasailing, and water skiing. Make sure to visit some of the incredible nature preserves and enjoy the vibrant flowers, plants, and trees. Once you’ve finished exploring inland Mauritius, head back out to your yacht charter and enjoy a relaxing dinner on your deck, gazing up at the innumerable stars overhead. When it’s time to retire for the evening, take pleasure in the sounds of the gentle waves slapping at your yacht’s hull and allow the lull of the ocean to drift you off into the finest, most luxurious sleep of your life. This is life in Mauritius, and we know you’ll love it.